We know that, having adopted an animal from us, you want to give them the best life possible. With advancements in veterinary medicine it’s essential to choose the right insurance for your pet so you can get the right treatment for them without having to worry about the cost. 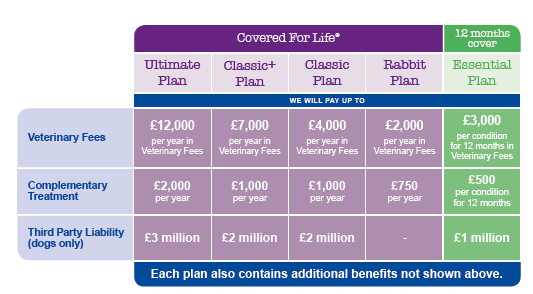 Will the insurer pay the vet directly? 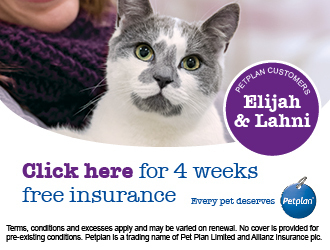 Take advantage of Petplan's 4 weeks trial. 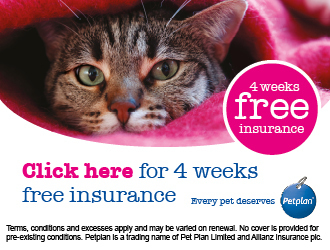 Activate 4 weeks free insurance for your pet and receive help covering unexpected veterinary fees up to £2,000. 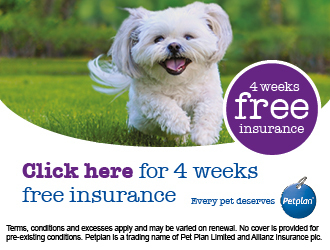 To start your 4 weeks free policy simply pop into our charity or to activate your own voucher, click here . There is no obligation to buy a full policy.